First, I would like to thank my friend Joel for both the inspiration and the bounty of sunchokes that made this adventure possible. He dug them from the ground at his family farm in Pennsylvania, and handed them to me still caked in dirt. 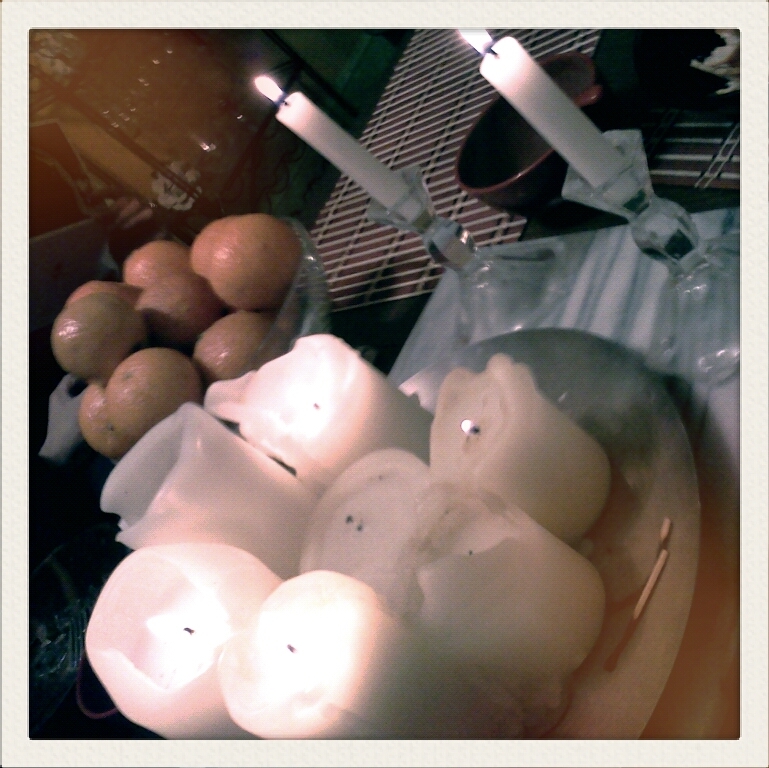 I must say that washing them was one of the most primal experiences I’ve had in a long while. I would also like to thank Frank & Jennifer for agreeing to try the dish despite the fact that none of us had heard of sunchokes before. This easy mushroom and sunchoke sauté is a fresh and unique side dish that’s perfect for serving to company. 1. Trim off any soil caked onto mushrooms. Trim and discard discolored stem ends and tough stems of shiitakes. Quickly immerse the mushrooms in water, swishing them around to release soil and insects, then lift from water and drain. 2. 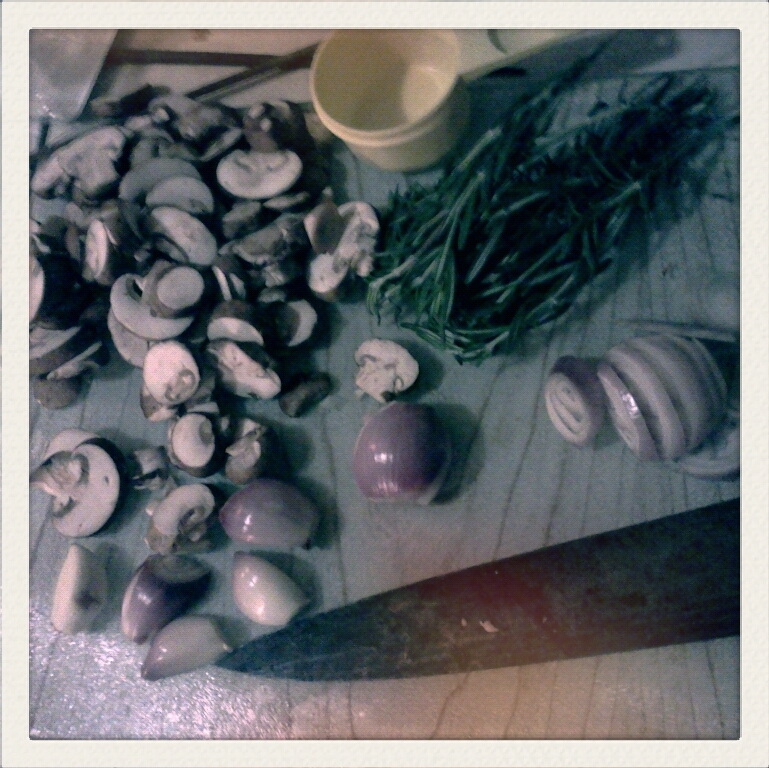 Cut large mushrooms into about 1-inch pieces; leave the small mushrooms whole. 3. 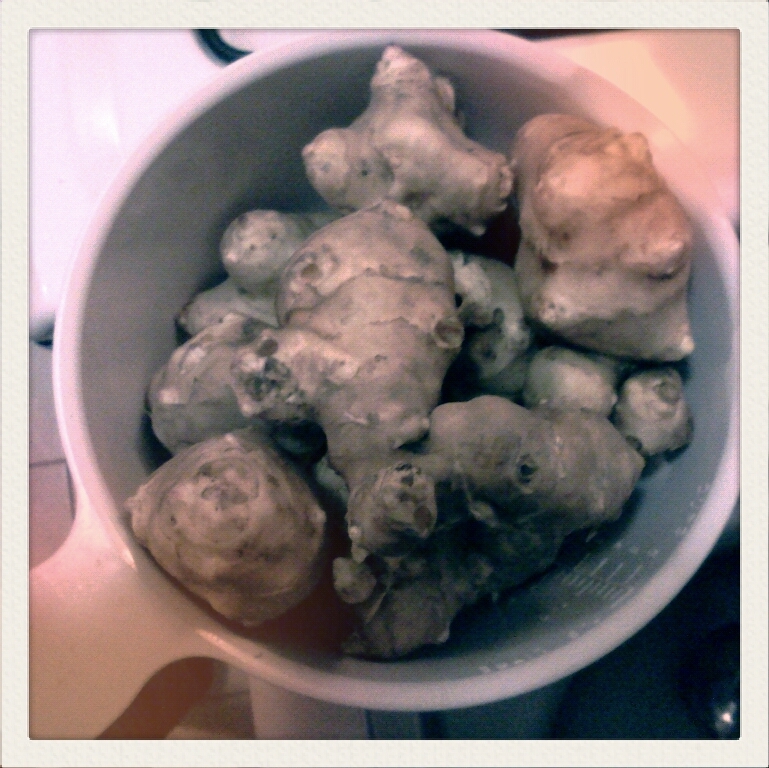 Peel and coarsely chop sunchokes. 4. 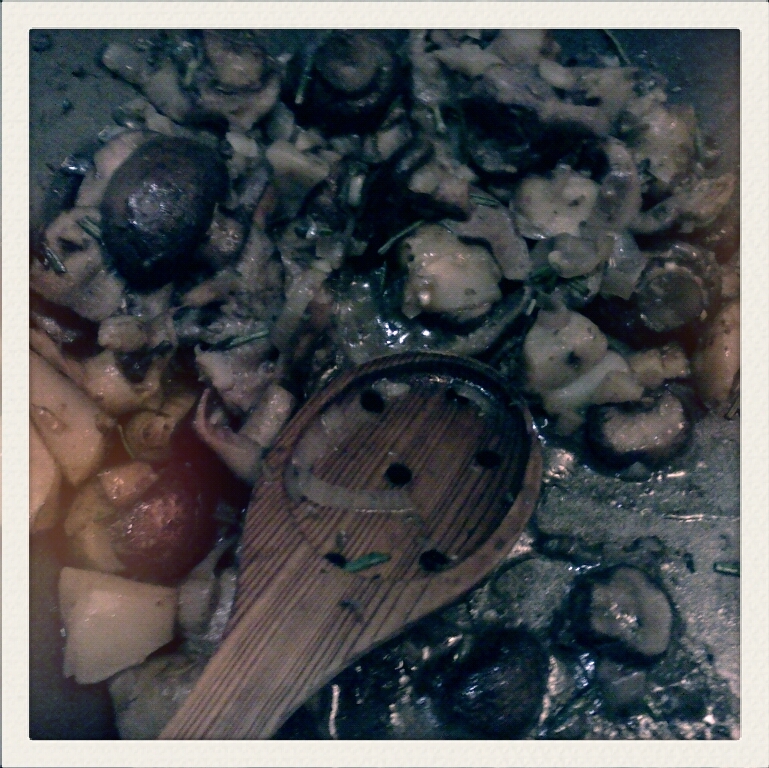 In a 5- to 6-quart pan over high heat, combine oil, butter, mushrooms, sunchokes, shallots, and garlic. 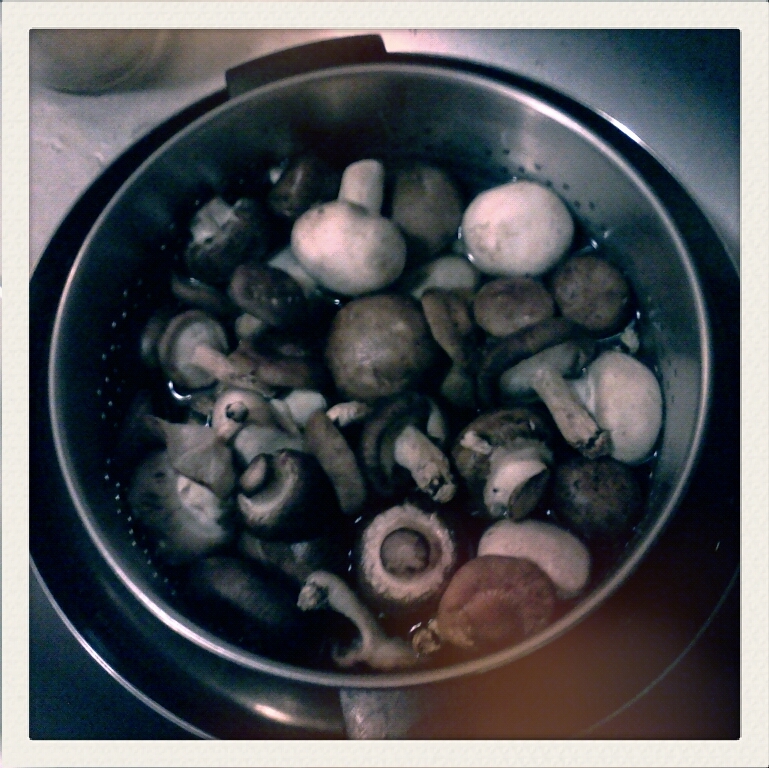 Stir often until mushroom juices evaporate and the vegetables are browned, about 15 minutes. 5. Add rosemary, oregano, and sherry; stir until sherry evaporates, about 2 minutes. 6. Spoon vegetables into a serving dish. Add salt and pepper to taste. 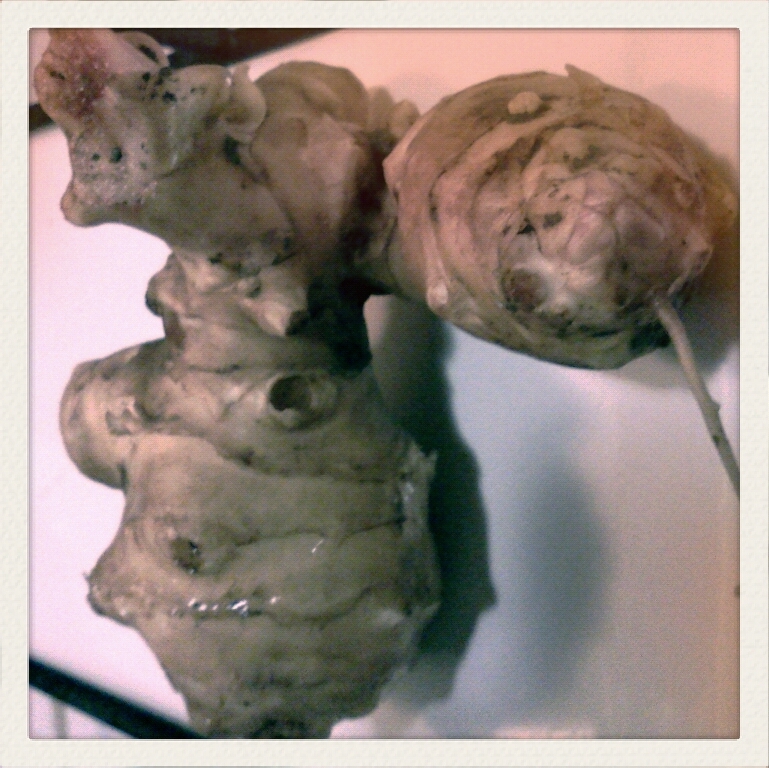 Didn’t know what sunchoke was-it’s Jerusalem Artichoke. Hm.. one of these days, I shall try it.